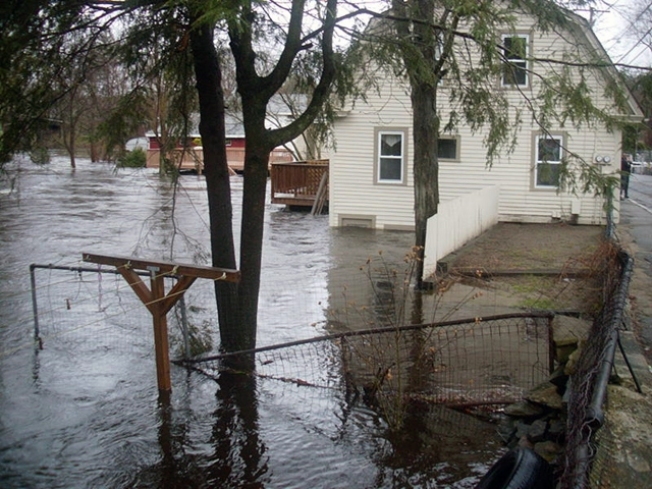 Two days before heavy rains flooded eastern Connecticut, the federally backed flood insurance program expired. Now, Gov. M. Jodi Rell is urging Congress to retroactively reauthorize the National Flood Insurance Program when members reconvene on April 12. The problem is that Congress failed to reauthorize it before leaving for its spring break, Rell said. The Federal Emergency Management Agency alerted insurance companies that they cannot renew or issue new policies as part of the flood program because the NFIP requires authority from Congress. "Hundreds of Connecticut homeowners and businesses have been severely affected by flooding that many have not seen in a generation," Rell wrote in a letter to Congressional leadership. "By letting the National Flood Insurance Program expire, Washington is letting down residents in Connecticut and in other states who were either in the process of buying a new policy or who have policies up for renewal." According to FEMA, the average premium for homeowners' flood insurance is $500 a year. A flood insurance policy normally has a 30-day waiting period after purchase before it goes into effect. Rell fears that without NFIP, thousands of Connecticut homeowners may have no way to pay for their losses.